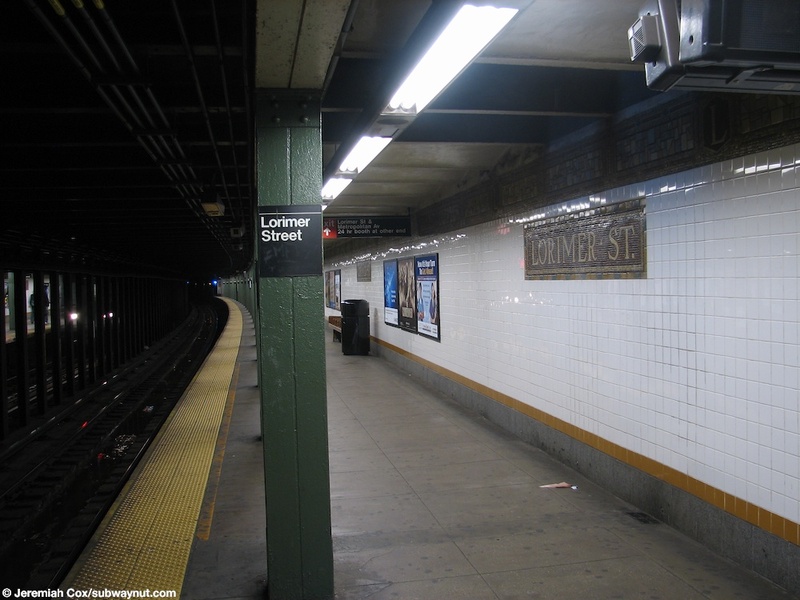 Lorimer St is the transfer point from the L to the G. The transfer is made passable by a ramp down from the Canarsie-bound platform, and a staircase that is basically an underpass from the Manhattan-bound platform both of these are at the extreme western end of the station, these lead to the large IND G train mezzanine. 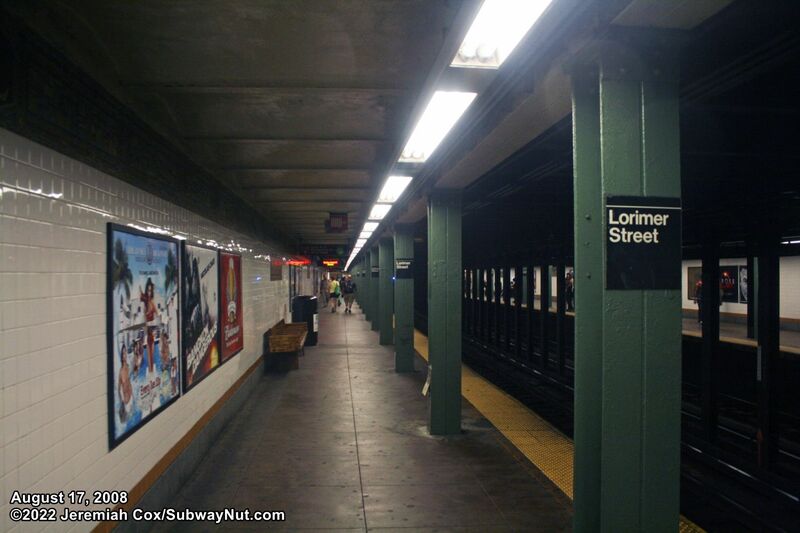 The original exit to Lorimer St & Metropolitan Av still exists and is on a small overpass towards the other end of the side platforms. 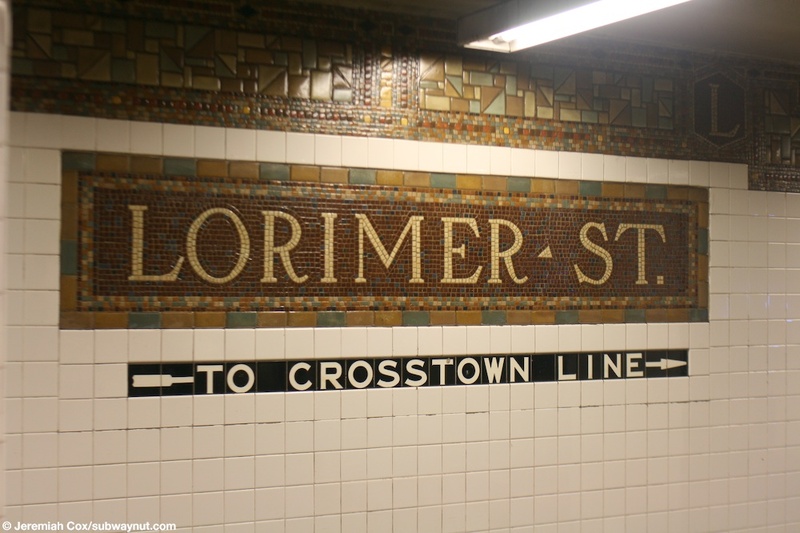 The station has the intricate name tablets that are typical of Canarsie Line stations with brown being the overall hue. 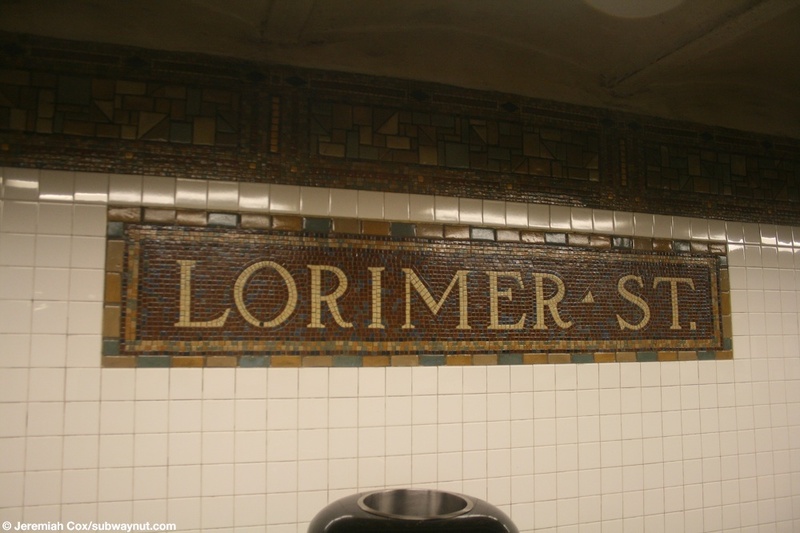 There are L's for Lorimer St in the intricate trim right at the top of each of the side platforms. Many different shapes compose the rest of the trim. 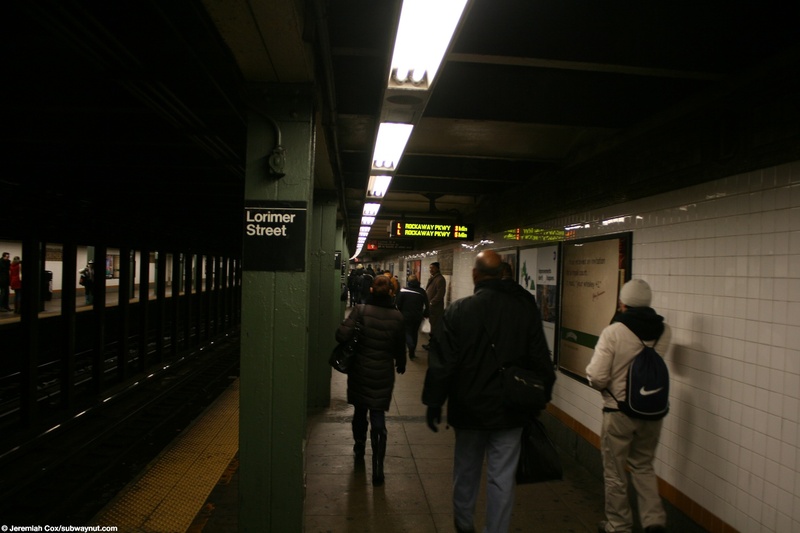 (lorimerl1) Looking down the Canarsie-bound platform at Lorimer St as passengers walk to the ramp down to the G train's mezzanine. 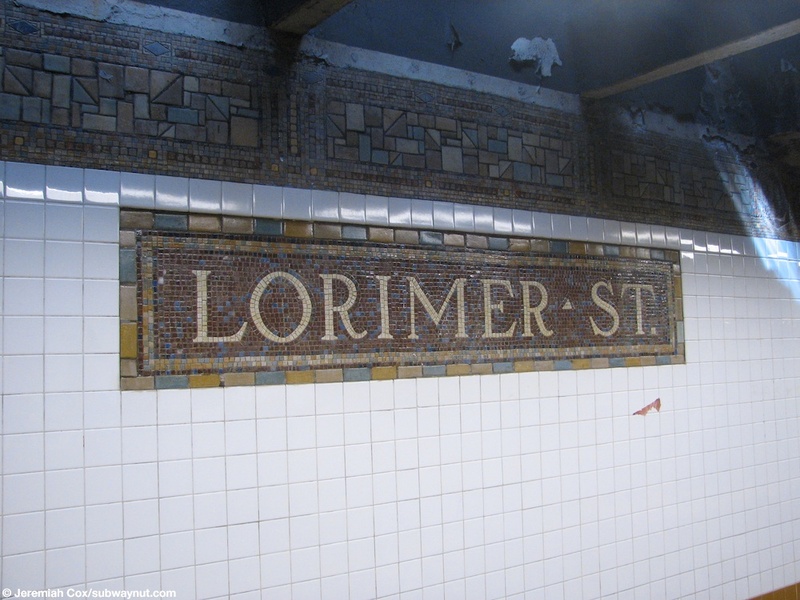 21 April, 2007 (lorimerl2) A Lorimer St name tablet. 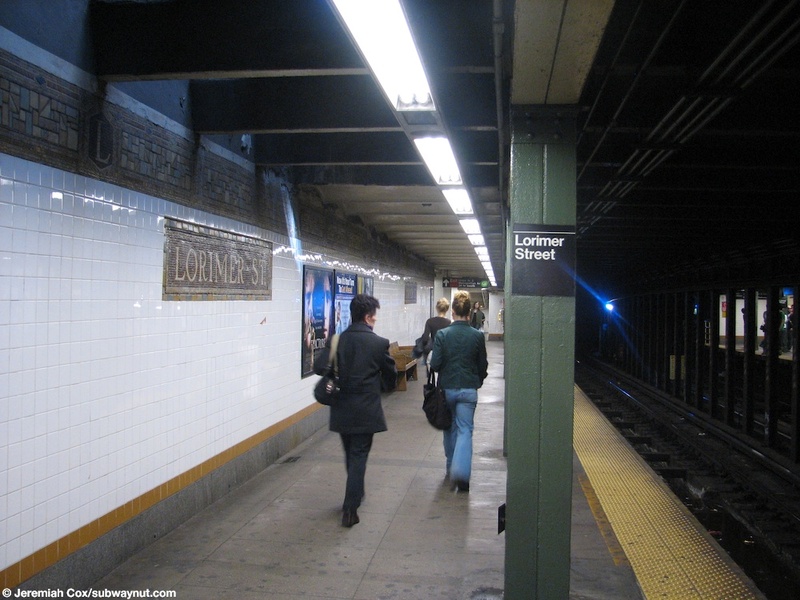 21 April, 2007 (lorimerl3) A simple side platform's are all the L station has to offer. 21 April, 2007 (lorimerl4) Another name tablet. 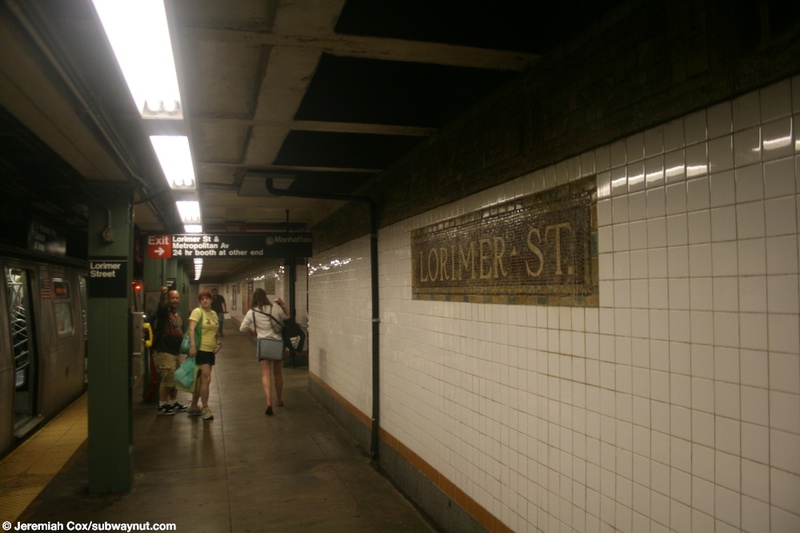 (lorimerl5) Passengers get off a Canarsie-bound L train at Lorimer St right in front of the exit there. 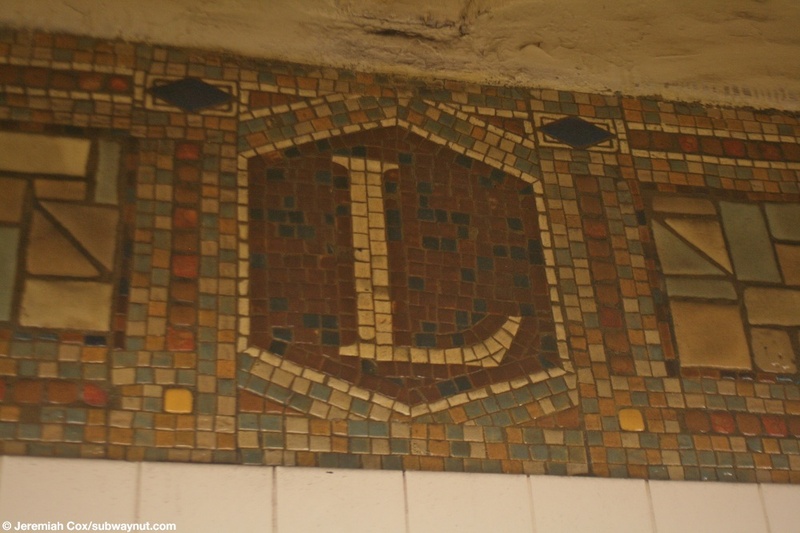 17 August, 2008 (lorimerl7) Another view down the Canarsie-bound platform at Lorimer St.
17 August, 2008 (lorimerl8) A close up of an L mosaic in the station's trim. 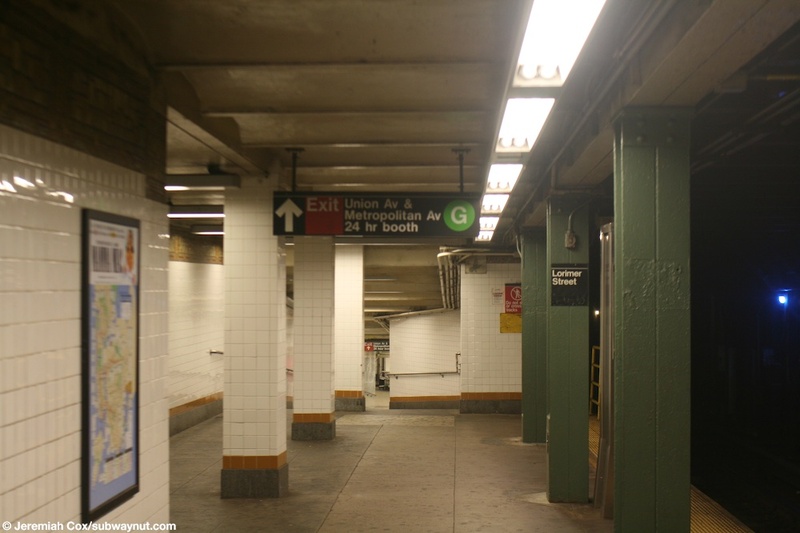 (lorimerl9) The Canarsie-bound platform gets a bit wider at it's end for a ramp down to the G train's mezzanine. 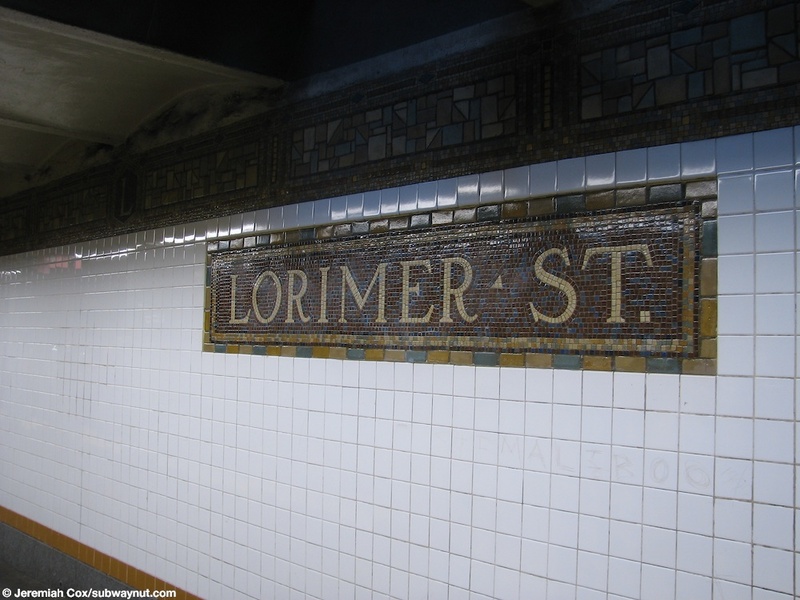 17 August, 2008 (lorimerl10) A name tablet at Lorimer street with IND style exit tiling underneath it saying 'To Crosstown Line'. 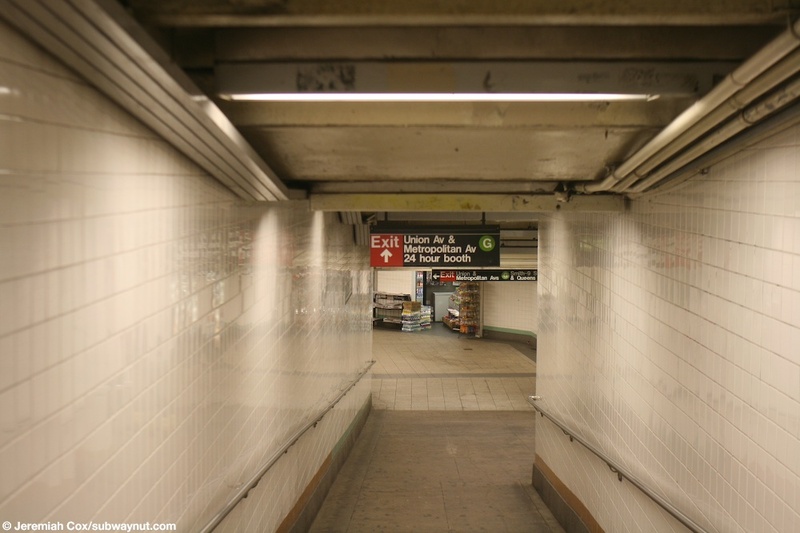 17 August, 2008 (lorimerl11) Looking down the narrow ramp from the Canarsie-bound platform to the Crosstown Line's large IND style mezzanine.